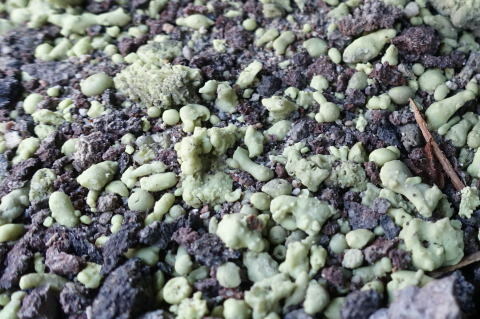 This photograph is showing unique sulfur grains which I named "Tear Drop Sulfur Grains" in the vicinity of Crater I. During the molten sulfur eruption at Crater I liquid sulfur was splashed up by the phreatic explosion at Crater I. Those grains were sulfur droplets.